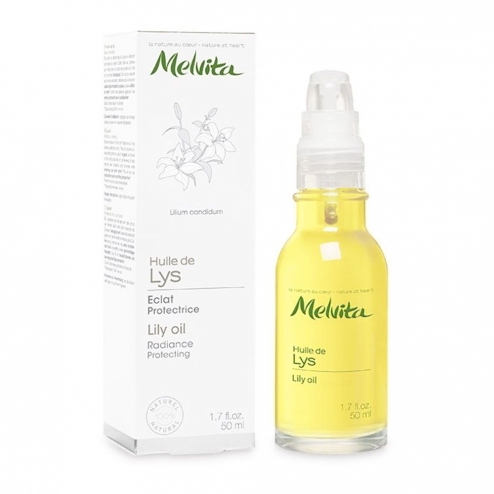 The oil of Lily, obtained by maceration of its bulb in sunflower oil, presents protective and soothing virtues attributed to the natural presence of boric acid. Its remedial qualities make the Natural Oil of Lys an ideal care for the hands and the face. Apply to the face or hands and then penetrate by gently massaging. INCI Formula: Helianthus Annuus Seed Oil [Helianthus Annuus (Sunflower) Seed Oil], Lilium Candidum [Lilium Candidum Bulb Extract].